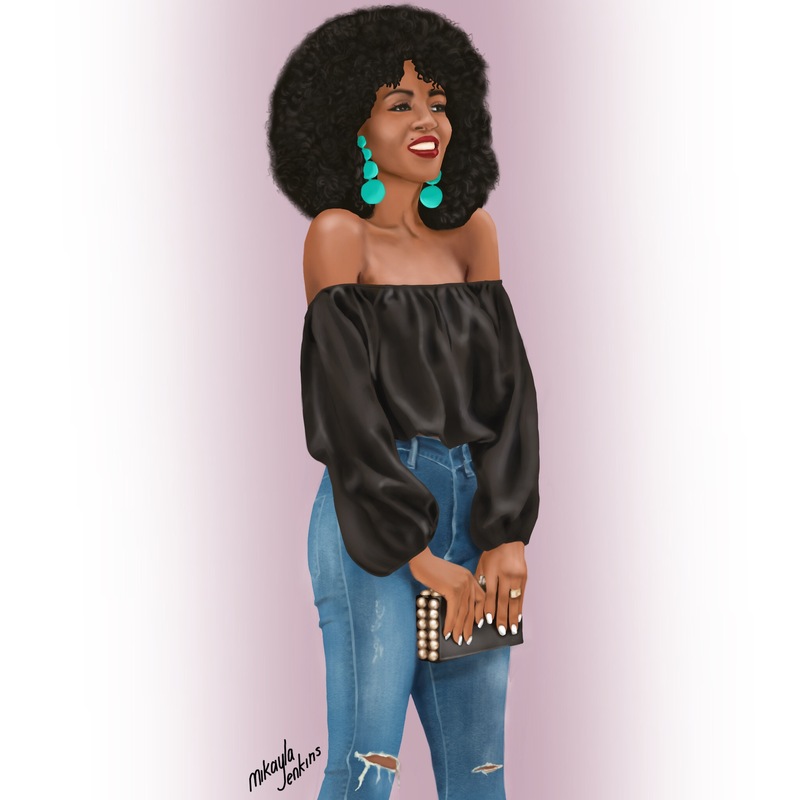 If you are familiar with Folake Huntoon of Style Pantry, then you know that she is not only gorgeous but also has an impeccable sense of style. If you scroll through her Instagram feed, you’ll see that Folake plays with color in a way that can only be described as fearless. She definitely inspires me to step up my use of color in my outfits. Thank you! I have a love-hate relationship with drawing folds in fabric. When it comes to drawing satin, it’s all about the contrast between where the light hits the fabric. Yes, that is fascinating. I also painted once and liked to cope with this challenge. Have a nice day! What a great illustration! I don’t know Folake but she looks like she has a great personality. Love the clothes and I LOVE those earrings. I will check out her Instagram feed. Thank you, Joanna. I agree. There is an approachable elegance that seems to come through in her pictures. Wow this illustration is stunning Mikayla! I adore Folake’s style, and her adventurous approach to dressing up! Your portrait of her really is a true likeness and captures her look perfectly! Thank you so much for your continued support of my blog. Thank you, Saba. I always enjoy reading your blog posts and the comments you leave on my blog.